← Engrish of the Week: Like a virgin? When we went to Tokyo last weekend, the trains were still a bit disrupted, so instead of landing in Shinjuku or Ikebukuro as usual, our final stop was Ueno. This was a happy occasion, because we haven’t gotten much chance to go to Ueno recently, and it holds a special place in my heart. 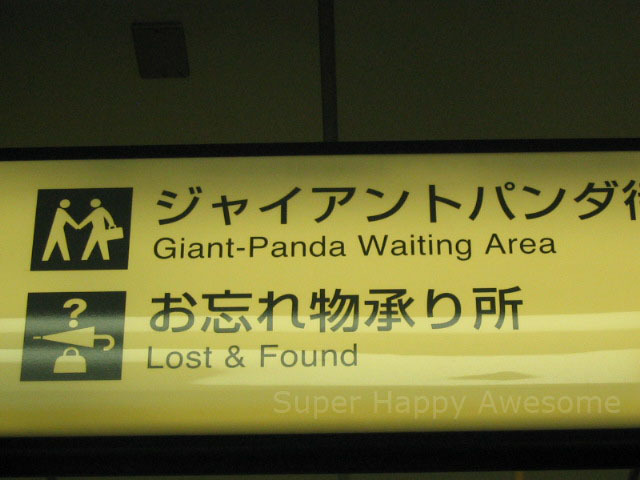 I have yet to actually find this area to see if there are, in fact, pandas waiting here. My first apartment when I moved to Japan a few years ago was in Uguisudani, which is just on the north side of Ueno park. I was crafty and extended my commuter pass to Ueno Station (at no extra cost!) and would often get off the train there after work and get dinner before walking home. While I was living there, there were no Pandas at the Zoo, though many locals (and souvenir stands) remembered the previous black and white inhabitants fondly. 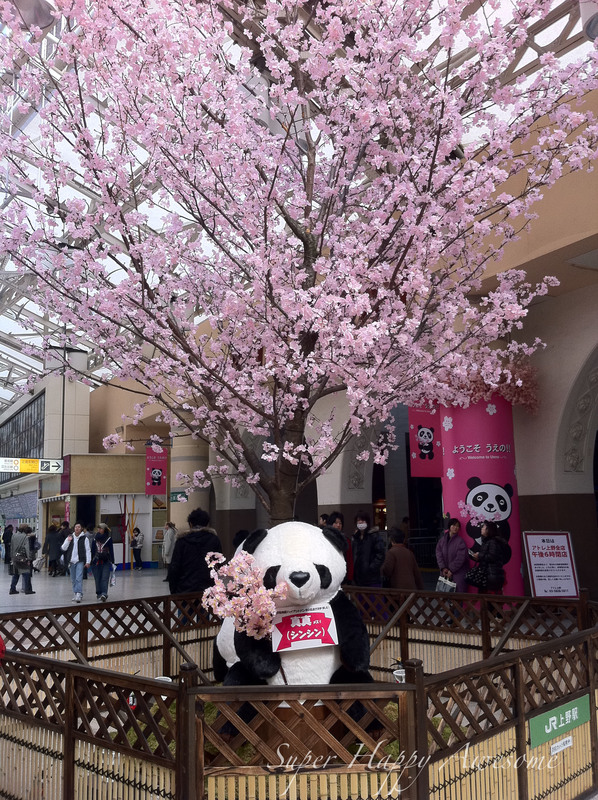 As you’ve probably heard, Ueno recently received two new Pandas on loan from China, and the neighborhood has erupted in a frenzy of Panda fever! There are Panda decorations everywhere, and souvenirs in every shop window. The zoo wasn’t even open the day we went, so we had no chance to see the famous furballs, but maybe at some point. And in the mean time, we’ll just snack on these crazy tasty Panda Croissants I found in the station. 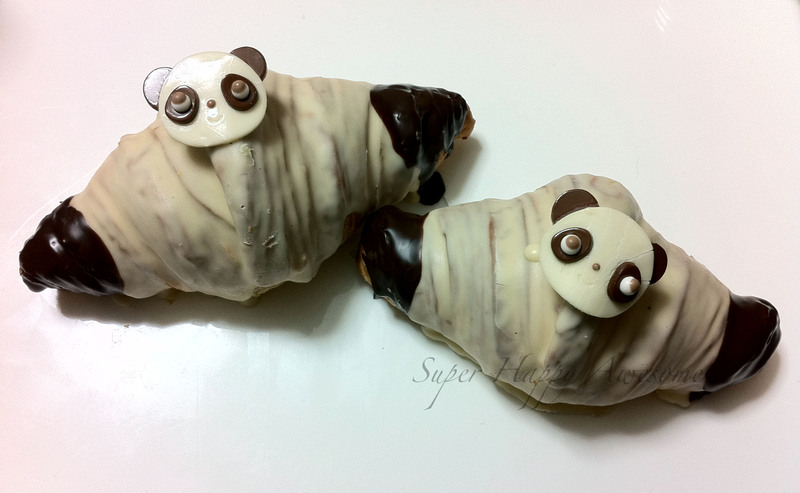 Dipped in white and dark chocolate with the cutest decorations to have ever possibly graced a croissant. Adorable and delicious! 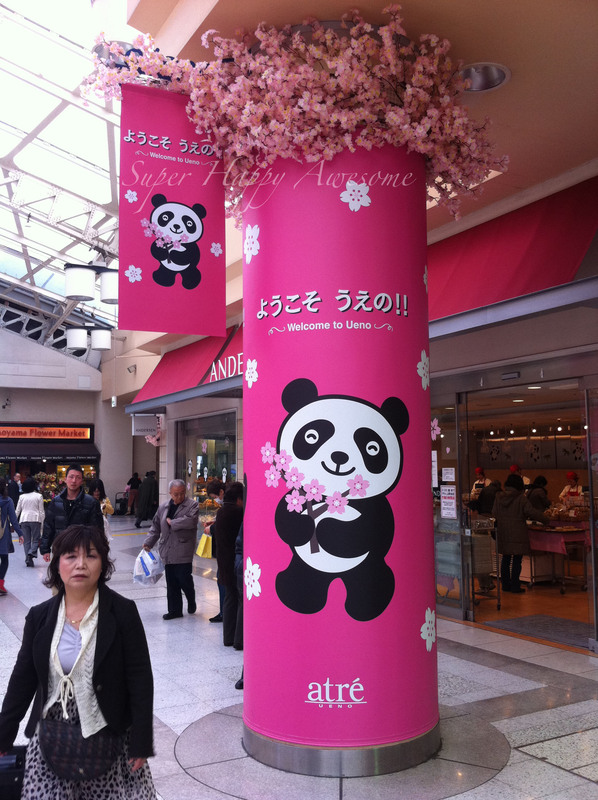 For more on Ueno’s Panda Craze, and the yummy treats to come out of it check out Tokyo Tako! There’s also a great post of a cartoonist’s trip to Ueno, partially translated here. What do you think about pandas? Super adorable, or overrated? Are they China’s best export, or is their “borrow a panda” plan a bit of a scam? What do you think? This is my entry in this week’s Show Me Japan. Check it out! This entry was posted in Adventure!, Japan, Photos! and tagged adorable, Cherry Blossoms, croissants, cute, Pandas, pretty, Sakura, Show Me Japan, sweet, tasty, Tokyo, Ueno, yummy. Bookmark the permalink. 10 Responses to Ueno is Panda Crazy! I can’t get enough of the cuteness either! Freaking adorable, I tell you what! And I’m not even a fan of pandas as pandas. I just like panda-styled stuff. The animals themselves give me the creeps. Hahaha, it’s so true–I tend to prefer Panda stuff more than the creatures themselves! Why is the stuff cuter? I’m not a huge panda fan, but think they’re less overrated than penguins and monkeys! Haha, it’s true, penguins and monkeys do get TONS of cuteness airtime! I think wombats might actually be the cutest animal, or possibly koalas, though if I was Australian I’d probably think they were overrated too, haha! 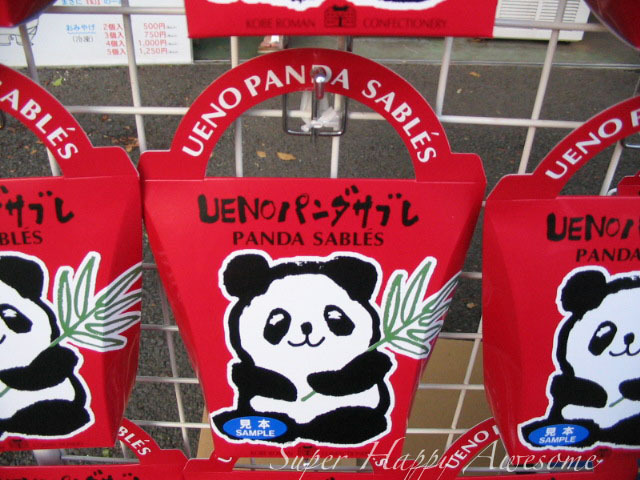 I went to Ueno and there was one tiny bit of space with nothing panda related on it. I was disappointed by that. I’ve seen panda steamed buns but, as yet, no panda pan… that is a dire waste of pun opportunity.